As one reads the opening phrase, one wonders ‘Where? Which state and town? Which lab? When?’ The use of the phrase ‘Yet another’ implies that such hackings are occurring all over the county! You would expect an eminent commentator like Kuldip Nayar writing for ‘serious’ newspapers to have done due diligence before leveling such a serious charge. A follow-up on recent news reveals an alleged vigilantist attack on Dalits over beef consumption in Karnataka – but nobody in that incident was ‘hacked to death‘, and neither is there any news of ‘lab report on cattle meat‘. In another news, a Dalit family was brutally hacked to death in UP by an addict for not giving him a paltry sum of Rs.15 for buying an intoxicant, but there is no beef ‘angle’ in this horrendous crime. One begins to wonder what kind of fact checking do the media houses do, as both the Statesman and Deccan Herald seem to have published this piece in ‘good faith’. Are media houses not to be blamed for allowing write-ups without any references or proofs where the opinion begins with quoting fabricated incidents? One can understand Kuldip Nayar jumbling up unrelated incidents to create a narrative in his mind that is in consonance with his ingrained Hinduphobia, but why are the editors of these newspapers sleeping on their job? 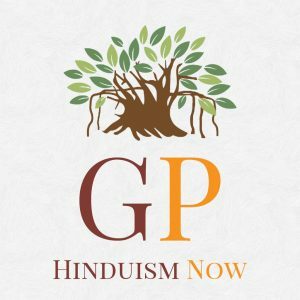 Or is this open season for any piece that can bash Hindu Dharma and Hindu society using the caste stick – facts be damned? The core doctrine of Abrahamic religions like Islam and Christianity which condemns non-believers to eternal hellfire and treats them as second-class pagans/kafirs, is invisible to the likes of Kuldip Nayar, while the social prejudices that became prevalent (and are now fading gradually) in Hindu society are enough for his ilk to condemn Hindu Dharma in perpetuity. In the alternate universe that the likes of Nayar have created for themselves, a Jamiat-Ulema-e-Hind (JUH) which opposes a Uniform Civil Code, opposes decriminalization of homosexuality and spreads propaganda that the 26/11 terror attack was carried out by RSS is liberal, while an RSS that supports Unform Civil Code, is working to end caste discrimination and says that homosexuality is not a crime is fascist. An RSS backing a political outfit like BJP is anathema, while Muslim organizations like JUH and Jamaat-e-Islami issuing diktats to the Muslim community on how to exercise their vote is halal. In this piece, Kuldip Nayar argues that the NHRC (National Human Rights Commission) should raise the issue of caste discrimination in Bharat at a U.N. conference against racism in Durban, South Africa. In his desperate urge to bash Hindus, Kuldip Nayar will go to any lengths – even to the extent of projecting racism as a lesser evil than casteism. The same racism, which combined with toxic Christian supremacism (White Man’s ‘civilizing burden’), gave rise to the colonialism which wiped off several civilizations from the map of the world like the Native Americans, Aztecs, Incas, and plundered Asia and Africa; the same racism which saw Bharat being plundered by British imperialists, and due to which millions of our countrymen perished; the same racism which Nazi Germany used to exterminate Jews…Kuldip Nayar find that racism more palatable than caste discrimination? He forgets that leave alone marrying Whites, Blacks in America and Aborigines in Australia didn’t even have the right to vote at par with Whites till as recently as 1965. The White Minority in South Africa imposed a brutal apartheid regime against the indigenous Black population till as recently as 1994. And against this background, Kuldip Nayar scoffs at the fact that Bharat abolished untouchability in 1956 and provided voting rights to all citizens from the first election post independence in 1947 itself. Feudalism has existed in all societies – Europe during the medieval Dark Ages treated its lower classes/serfs in a far worse manner than Bharat. Neither is the scourge of untouchability unique to Bharat and Hindus – Cagots in France and Spain were shunned and hated till the 20th century; Roma are still heavily discriminated against across Europe as gypsies; Burakumin is an outcaste group at the bottom of the Japanese social order that has historically been the victim of severe discrimination and ostracism – they were given equal legal status with the Meiji restoration in 1871, but the social discrimination against them continues to this day in certain pockets of Japan. And when will the likes of Kuldip Nayar face up to the fact of Islamic jihad that has left its bloody trail across Bharat over 1000 years of unrelenting holy war against Hindu kafirs? What makes Kuldip Nayar a self-loathing Hindu? Born in Sialkot, Punjab province, Pakistan, he is an archetypal member of the “Lahore Club” – Hindu Punjabis who out of a sense of nostalgia, out of an inverted sense of snobbery, and despite the trauma of partition, love their tormentors. Other members of this club include Rajinder Sachar, ex-PM IK Gujral, and the latest entrant is Barkha Dutt. For convoluted reasons, this club believes that Bharat should make unilateral concessions in pursuit of peace with Pakistan, overlooking four wars, Islamic terrorism, bleeding cuts inflicted on us – because we are an elder nation, the onus is on us to make concessions and allay the fears of our younger brother Pakistan, they assert. IK Gujral even evolved this thinking into a doctrine – that Bharat must make unilateral concessions to buy peace with Pakistan. These bleeding heart liberals go to Wagah Border on 14th of August for candle-light marches, as part of what diplomats call ‘Assi Tussi’ (you and me) diplomacy in Punjabi. They are the ones who cheer loudest when the media-engineered ‘Aman ki Asha’ circus rolls into town. Despite Punjab being the only state with a total exchange of populations during partition and witnessing horrific mass killings in that period, these people believe in some kind of self-flagellation. They choose to be completely oblivious to the Islamist radicalization of Muslim majority Pakistan – a process that was accelerated under the leadership of President Zia-ul-haq in the 1980s – and to the plight of Pakistan’s minorities, the ever suffering Hindus, Sikhs, Christians, Ahmadis and Shias. This club had dismissed the likelihood of something like the Modi Government ever coming to power, because of a variety of reasons regarded as incontrovertible facts within their echo chamber – “Bharat is too diverse, a CM running a state cannot run Bharat, Bharat is too complex with too any cross-currents, we live in a coalition era etc”. Living in cuckoo land, they were shocked out of their wits when Narendra Modi was sworn in as PM with a simple majority of 282 seats for BJP alone. They have now regained some composure and are crawling out of the woodwork to revive an old hobbyhorse to whip RSS and BJP – upper caste oppression of Dalits. Kuldip Nayar’s columns were read avidly in the 70s and 80s – he was even jailed during Emergency for his principled opposition to Indira Gandhi. But so blinded is he by his hatred for RSS and BJP that even when facts are missing, he would concoct an incident that a Dalit family was hacked to death. “It is important to remember that such atrocities (against Dalits) are not new. They have existed across different political regimes. The Indian National Congress, for example, will have no place to hide if a post-independence analysis on atrocities on Dalits is done. Therefore, a pragmatic approach to integration lies in divorcing the atrocities committed against Dalits with the rule of any particular political party. History is witness to the slow but steady progress that Dalits have made in various spheres of life. Sometimes, critics ignore this perspective, preferring to focus on Dalits as victims. The nation has seen a Dalit President (KR Narayanan), a Dalit Deputy Prime Minister (Babu Jagjivan Ram), a Dalit Lok Sabha speaker (G.M.C Balyogi) and scores of Dalit vice-chancellors, professors, thinkers, bureaucrats, leaders and intellectuals. If we delve deeper, we will find that our great history is filled with examples of heroes from disadvantaged backgrounds pivoting the course of time to preserve and perpetuate our civilizational core. Dalit saint Veda Vyasa (who belonged to the “lowly” fisherman caste) and Dr. B.R. Ambedkar, for instance, were two intellectual giants who produced documents that would guide the future of our civilization in the form of Mahabharata and the Constitution of India respectively. I have spoken to people on the ground in Gujarat. They insist that the “Gau Raksha Dal” that perpetrated the attack has no formal association with any other organization or ideology. Instead, they are just a group of miscreants notorious for extortion and creating public disorder. The authorities have acted and put those responsible behind bars. The people living in and around Una have initiated a social boycott of the men involved. Cutting across caste lines, people are happy on the action being taken by the administration against the accused. Selective picking of crimes, pandering to a Dalit angle when there is none, is what bares the mischief. Every section of politics has condemned the thrashing of Dalits in the Una case. In a complex caste structure, you need not assign these atrocities to upper caste – the marginal/backward caste-Dalit conflict is more pronounced than upper caste-Dalit hostilities. Mulayam Singh Yadav and Mayawati have irreconcilable differences. There are serious hostilities between forward Dalits and Maha Dalits. Lot of factors are at play when we talk about casteism: political orientation, election-related, land-related, marriage-related, inter-caste rivalries. But to see it merely through the prism of upper caste oppression is too simplistic. This armchair nonagenarian, ‘has-been’ journalist concocting facts and jumping to conclusions, is the last thing we need today.